Tear or cut lettuce into bite-sized pieces and place in medium bowl. 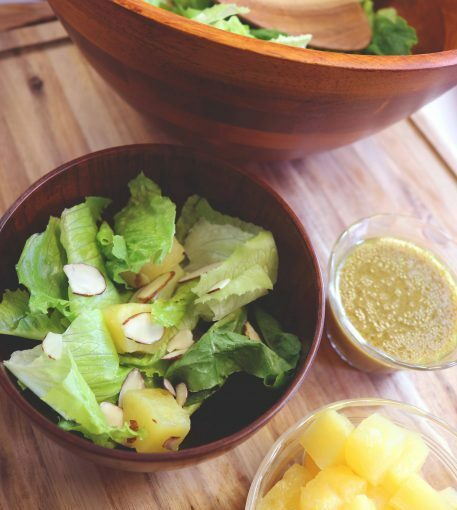 Add pineapple and almonds or walnuts to the lettuce. In medium (2 quart) bowl, mix together vinegar, reserved pineapple juice, Worcestershire sauce, mustard, and black pepper. Stir with a whisk or fork to mix well. Slowly add oil, stirring with a fork or whisk to blend. Substitute the romaine lettuce for your favorite leafy greens. We love kale, spinach, and spring mix greens! 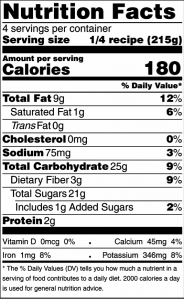 No walnuts? Use your favorite nuts and seeds for added flavor and healthy fats to keep you fuller for longer. For the dressing, all ingredients can be put into a clean jar with a tight-fitting lid and shaken well to blend. Leftover dressing can be refrigerated in the same jar.